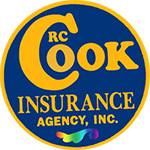 Get your free lawyers professional insurance quote from RC Cook Insurance. Call 330-296-3628 for more information. We're located in Ravenna, OH. ... you know how disappointing it can be to lack sufficient insurance to cover lawsuits, but have you given serious thought to your lawyers professional liability insurance policy? You never know when a client is going to feel like you didn't represent him or her to the best of your ability, and try to sue you as a result. You might think you have everything covered but this can be one of the costliest errors you can make, if you are wrong. Let's check out an example story to demonstrate just how important the right kind of coverage is. Sherman R was a well respected lawyer in the Cleveland area for many years. He and his partners handled a wide range of legal issues for their clients and had few problems and complaints. However, even the most competent and trusted law firms may have to deal with frivolous lawsuits sometimes and this is what happened to Sherman. One of Sherman's clients was injured on the job and seeking a major settlement. However, after a great deal of investigation it was revealed that the client was negligent while driving power equipment in a warehouse facility. In fact, he had an accident with a forklift because he made a bet with a fellow worker on how much weight his truck could lift without tipping over or causing problems. The lift truck ended up tipping, swaying sideways, and then falling over, trapping the worker's arm and leg. This resulted in significant injuries but once the insurance company learned the real facts of the case, they refused to pay the claim. Sherman told the man he didn't have a good chance to win his case, but the man claimed the insurance company was in error and he did nothing wrong. Sherman took the case and the man lost his claim. A few weeks later, Sherman received news that the client was suing him for incompetence. Even though the claim was absurd, legal fees became substantial and fortunately, Sherman had the right kind of attorney professional liability insurance. What is Liability Insurance for Lawyers? Some people call this coverage errors and omissions but it is actually lawyer's professional indemnity (liability) insurance. This coverage is there to protect your practice from many kinds of mistakes or errors you or your staff might make. This can also include misconduct and many other issues legal professionals face today. Think of it as malpractice insurance for lawyers. Who Should Have Lawyers Professional Liability Insurance Coverage? What is Included in a Typical Attorney Professional Liability Insurance Policy?